Click here for the special one-time or one-weekend only events during January. 9:30 a.m. and 1 p.m. Experience a premier 3-hour tour in our heated drift boats with high-backed cushioned seats. Photography or scenic trips available. $75 per person, children 5 and under $55. Reservations required. 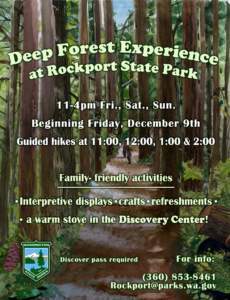 This forest tour will take you deep into the 670 acres of old-growth forest of Rockport State Park at the foot of Sauk Mountain. Guided hikes are at 11:00, 12:00, 1:00, and 2:00. Let kids explore in the Discovery Center with crafts and interactive wildlife displays, books, and games while you warm up by the fire and enjoy popcorn and a beverage. 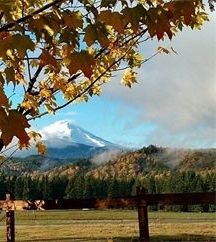 Discover Pass or $10 Day Use fee is required to access the park. Guided hikes & Discovery Center is free. The Skagit River Bald Eagle Interpretive Center provides education about the Skagit River ecosystem with an emphasis on the winter migration of bald eagles, salmon, and the vital role each play in the environment. 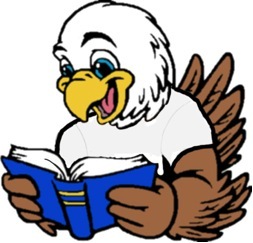 The Center provides local eagle watching information, guided nature walks, presentations by a variety of experts, informative videos, and a K-12 School Program. The Nature Store highlights local artisans and the Children’s Corner engages youth. Open the day after Christmas through New Year’s Day. Guided nature walks along the Skagit River occur at 11 a.m. every weekend day and speaker presentations occur Saturdays 1 p.m. 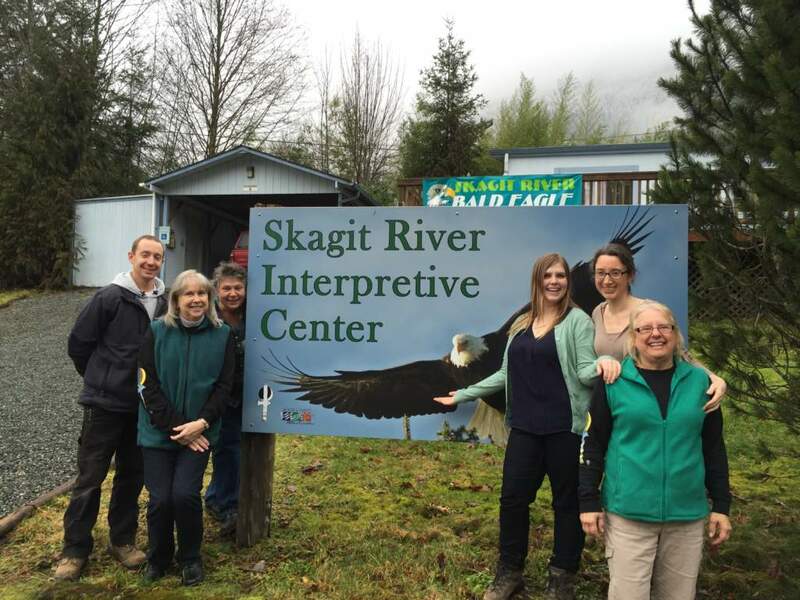 Operated by the Skagit River Bald Eagle Awareness Team, a nonprofit organization. Eagle Watcher volunteers can answer your questions about bald eagles, salmon, and the Skagit watershed. They’ll have binoculars and spotting scopes available for your use. Viewing stations are at Howard Miller Steelhead Park in Rockport, Sutter Creek at Milepost 100, and Marblemount Fish Hatchery. Marblemount Fish Hatchery is also offering self-guided tours. Free. 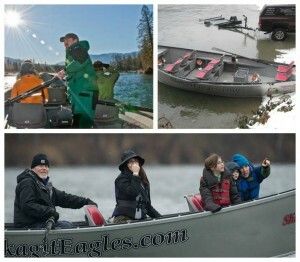 Offered by Skagit Guide Adventures — “Re-Wild” Your Spirit! Daily during December and January — 9:30 a.m. – 3:30p.m. 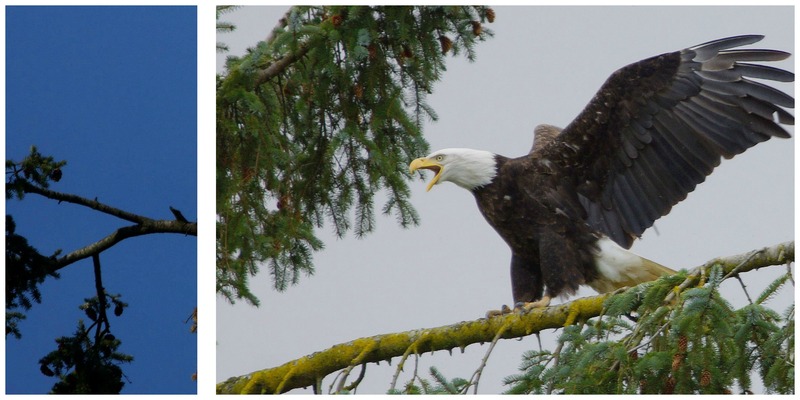 Join Skagit Guided Adventures Winter 2016 Skagit River Bald Eagles Eco Tour to experience the unforgettable sights, sounds & behaviors of these regal birds! They will “Re-Wild” Your Spirit! The Skagit River Bald Eagles Eco Tour takes you to experience the wilderness along the Skagit River during December & January. It is here that hundreds of migratory bald eagles congregate to feast on the winter salmon run! As we stop along the Skagit River to watch, listen and learn about the regal bald eagles, you’ll find yourself surrounded by the snow covered mountains of the North Cascades, as well as the moss & lichen covered forest trees. The incessant glacial meltwater of our life sustaining Skagit River will serenade you all along. A visit to the Skagit Bald Eagle Interpretive Center is also included. 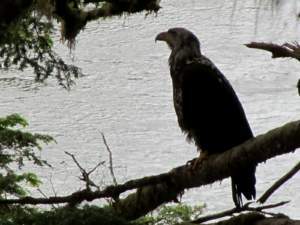 During the Skagit River Bald Eagles Eco Tour, you’ll also learn about the life cycle of salmon, the different species, and their importance in sustaining not only the bald eagles, but also bears, orcas, the PNW fisheries and ways of life. temperate rain forest plays in sheltering the entire Skagit River watershed system on which its wildlife, and humans, depend upon. The Extended Tour option (2 hrs) includes a visit to a salmon hatchery and a 1-3 mi walk through an old-growth forest.Warm clothing, gloves, hats, footwear, and rain gear are highly recommended during our crisp winter days. 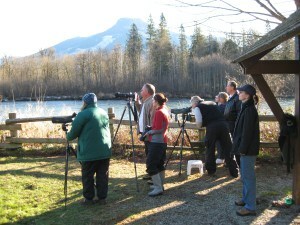 We provide binoculars.For tour availability and more details, go to http://skagitguidedadventures.com/adventures/skagit-eagles-winter-eco-tour/. 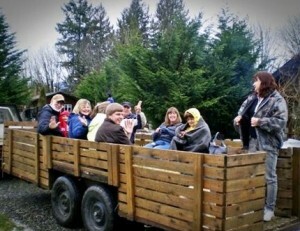 An educational hayride through 250 acres of timber, pasture, and Conservation Reserve Enhancement Program (CREP) project. See eagles, deer, elk, and more. Learn about our conservation projects, selective timber harvesting, and see how wildlife habitat is enhanced by our ranching practices. Enjoy coffee, hot chocolate, and cookies by the fire. Children’s wildlife footprints matching game and ranch history display. Pets must remain in car. Activity is weather dependent. Dress for the weather! Please check our website for activity updates. Free.